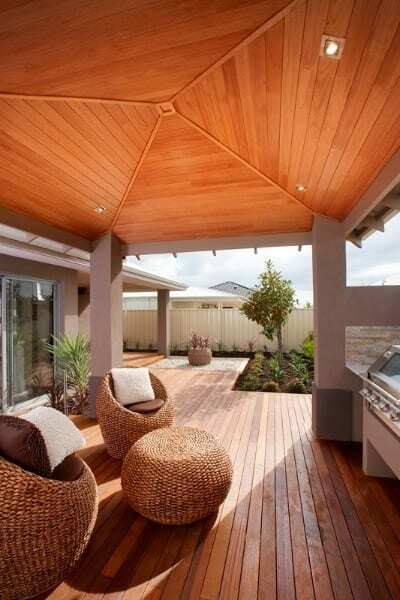 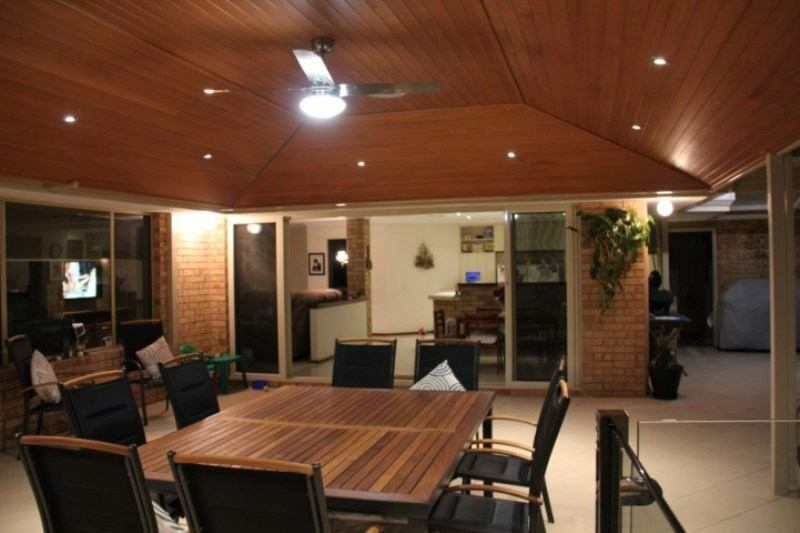 A timber patio makes a style statement that adds instant appeal to your home. 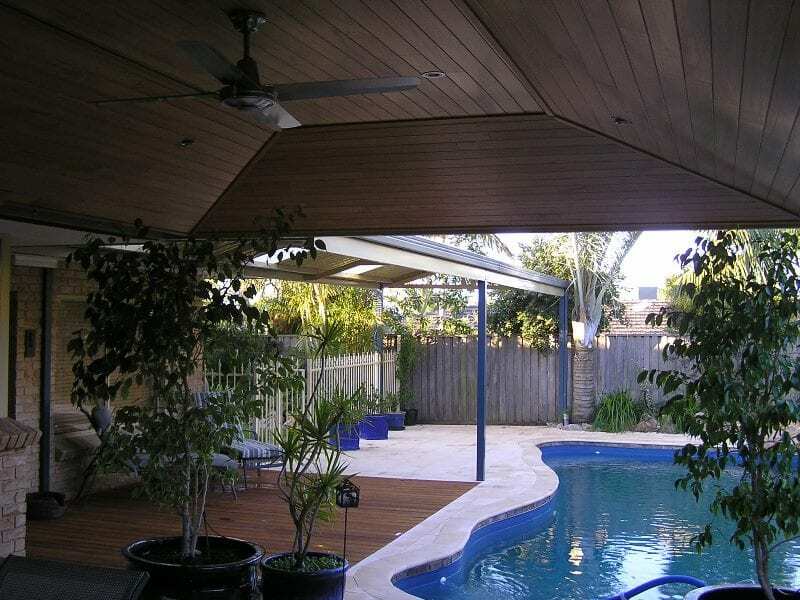 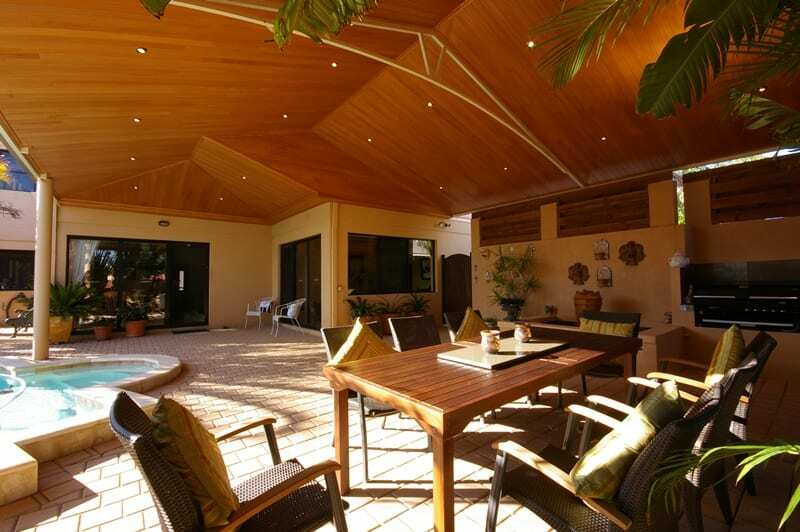 Many people have a love affair with timber that goes beyond enjoying the shade of a leafy tree. 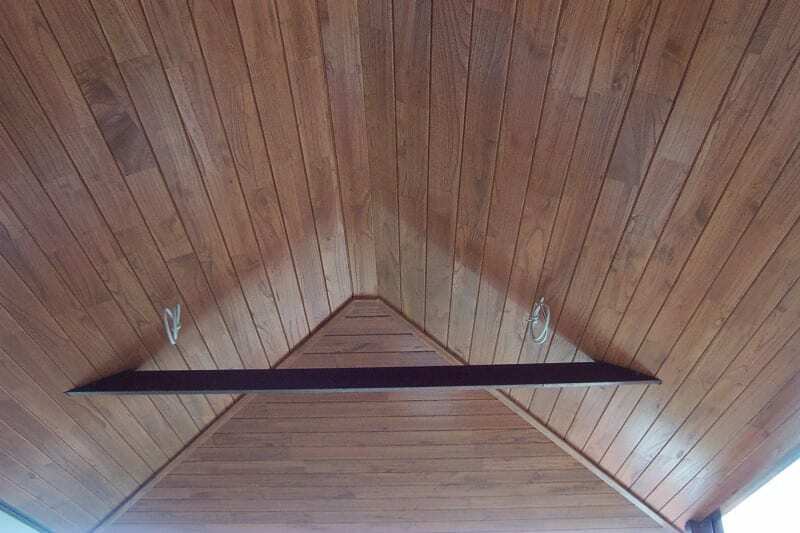 Wood is a striking design tool that can take a sad-looking fixer upper to the next level. 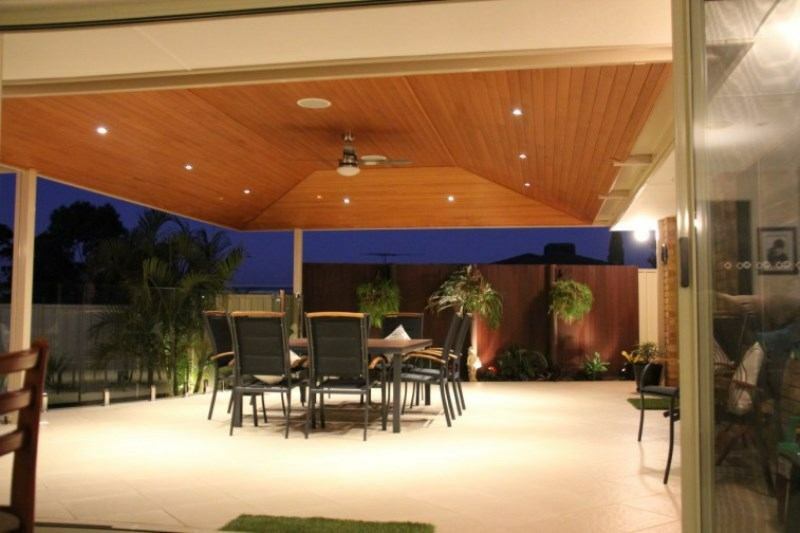 One Stop Patio Shop only uses sustainable plantation timber in a range of hardwood products that can be custom finished, depending on your preference. 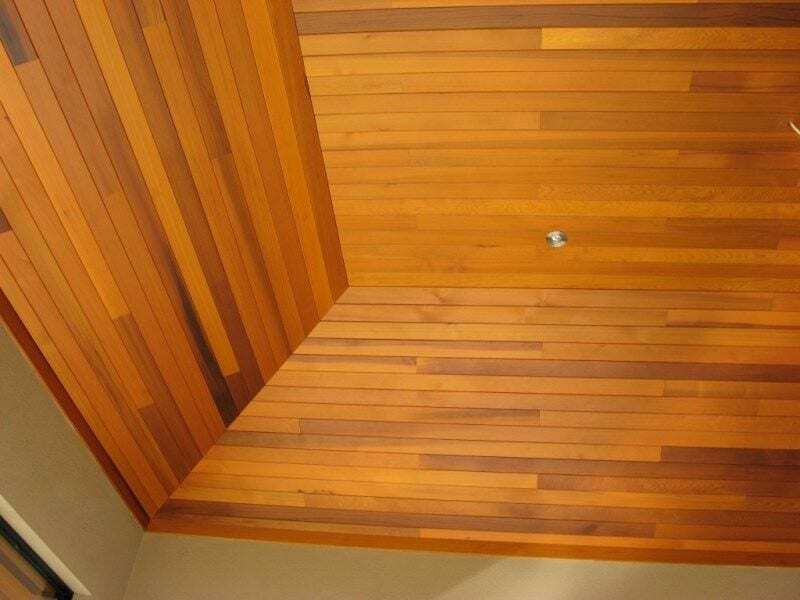 Glosswood is produced using sustainable plantation timber and advanced production techniques. 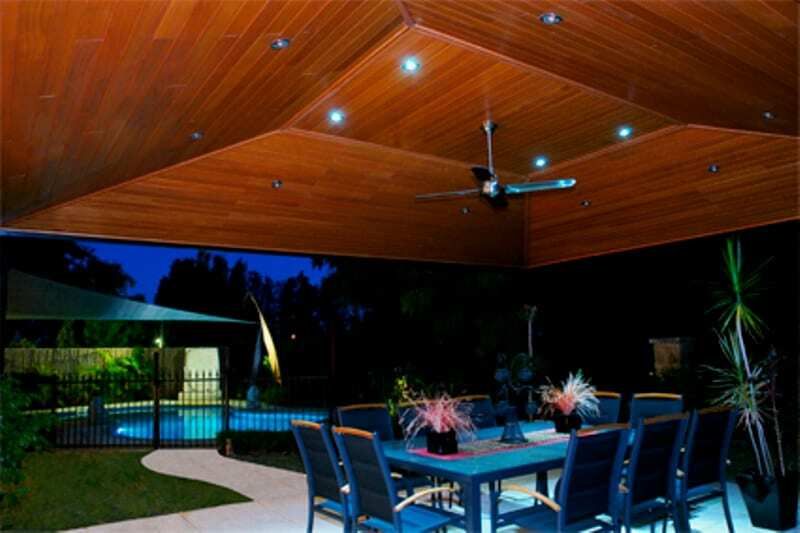 Glosswood is manufactured from Paulownia, a fast growing plantation hardwood with a beautiful straight grain. 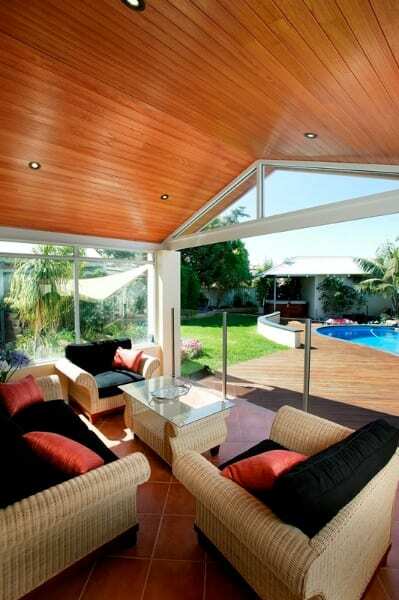 This type of wood is light, strong and dimensionally stable, as well as being unappealing to termites. 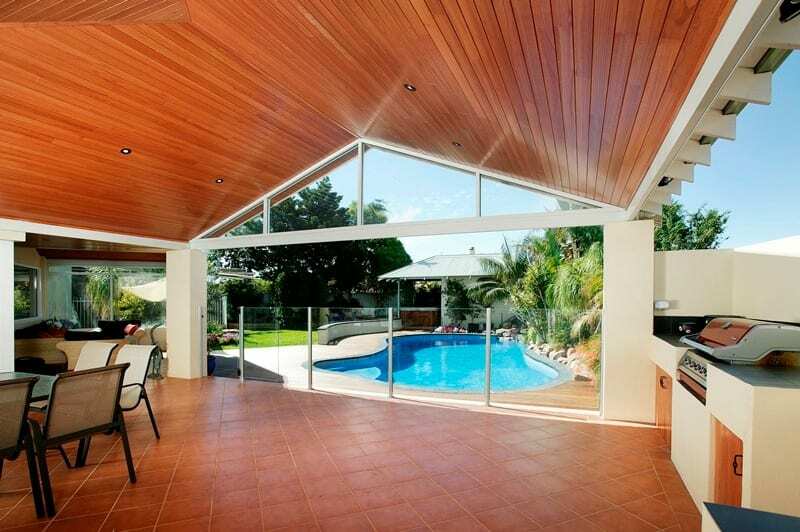 Along with its sleek, modern looks, Glosswood is imbued with other attractive properties. 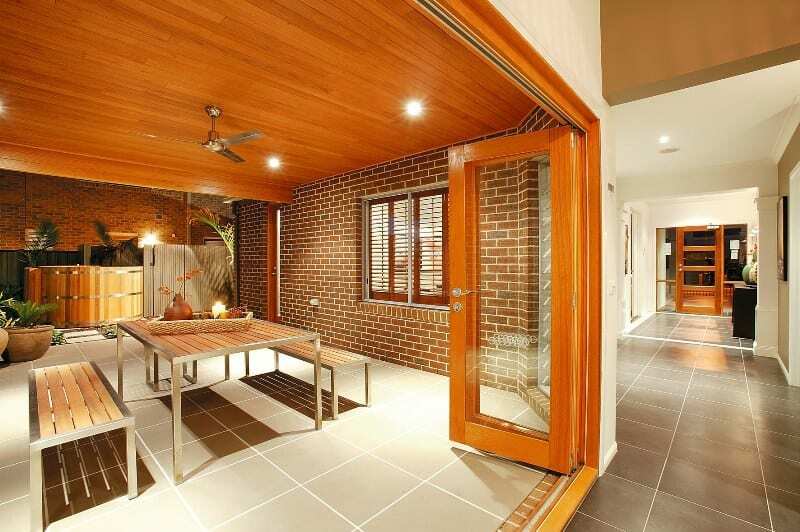 Already sanded, buffed and stained using durable products, Glosswood requires almost no maintenance so you can spend more time doing the things you love. 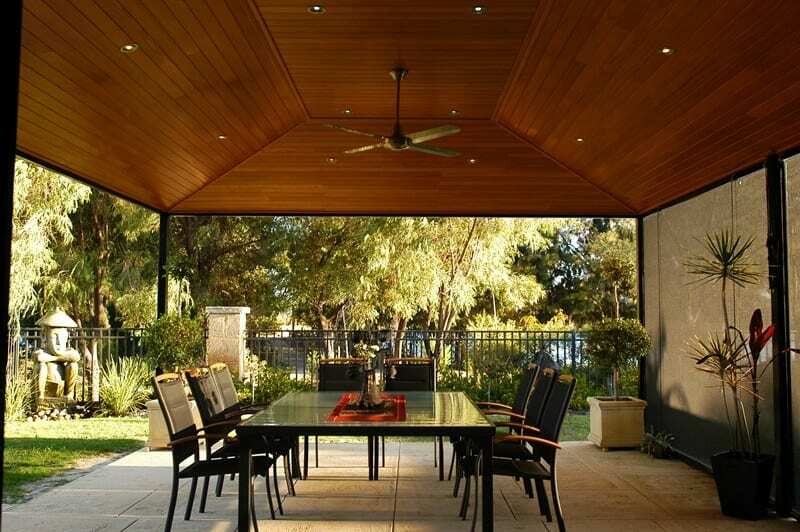 One Stop only uses CCA, Australia’s safest and most commonly used preservative treatment, to extend the lifespan of our timber products. 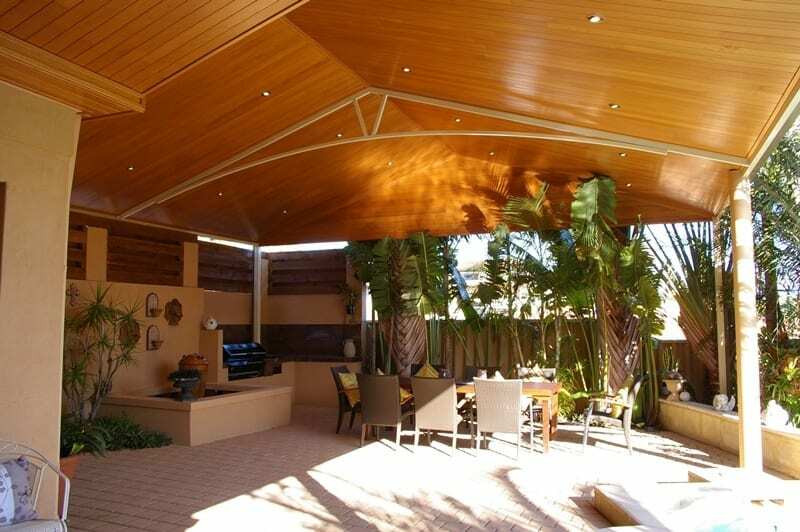 After installing a CCA-treated subframe to the underside of the patio, our Perth patio professionals insulate then attach the timber lining to the subframe. 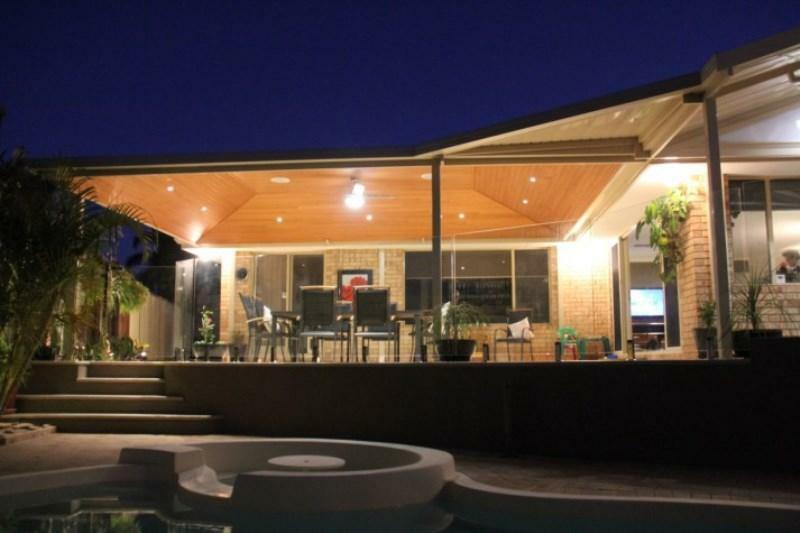 We use qualified carpenters who have been trained to build patios so when we undertake a project, you can rest assured it will be completed to your satisfaction. 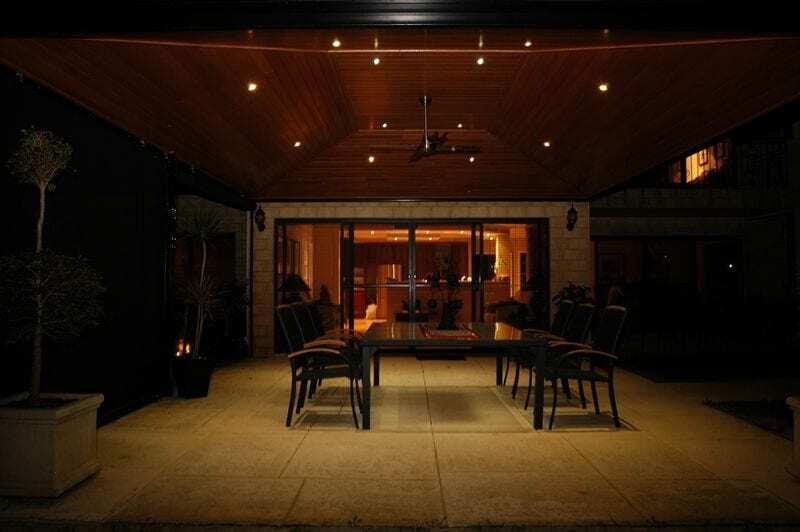 If you require lighting or powered ventilation, such as fans or air-conditioning, One Stop has a team of tradespeople at our disposal, including electricians in order to provide you with the solutions you require. 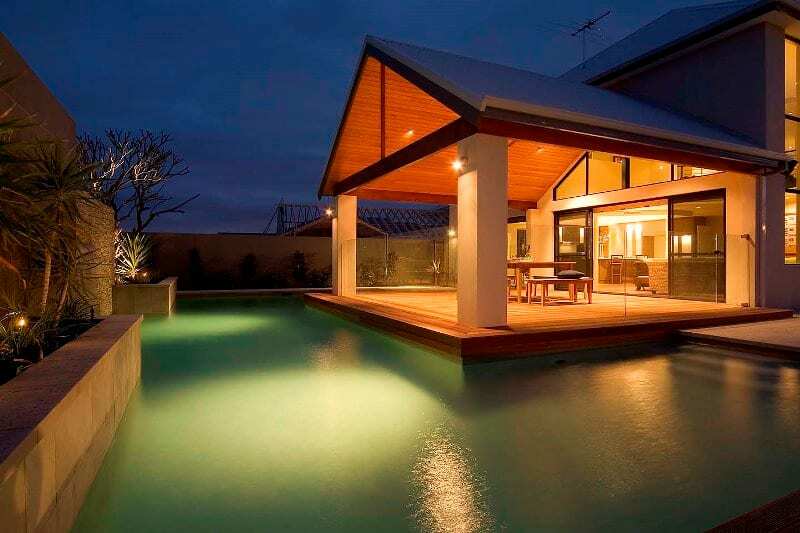 Our team is fully trained to work seamlessly together to prevent any downtime during the installation process. 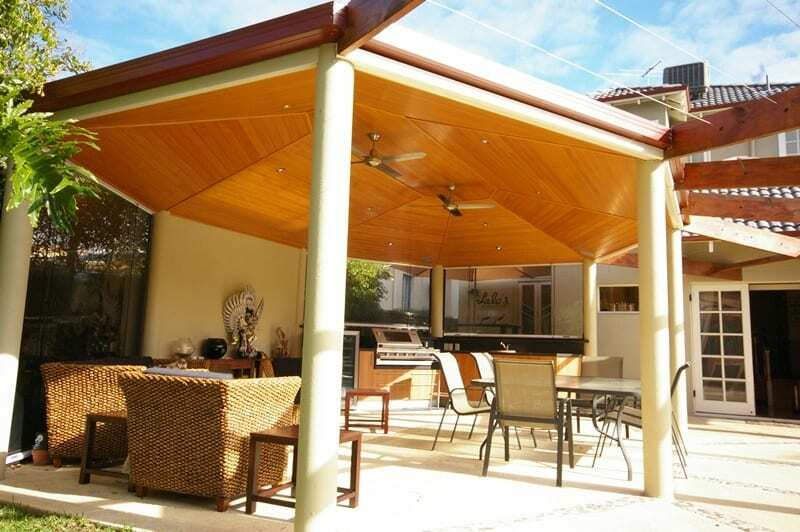 Choose One Stop Patio Shops beautiful Glosswood timber lining and you’ll join our growing list of happy customers. 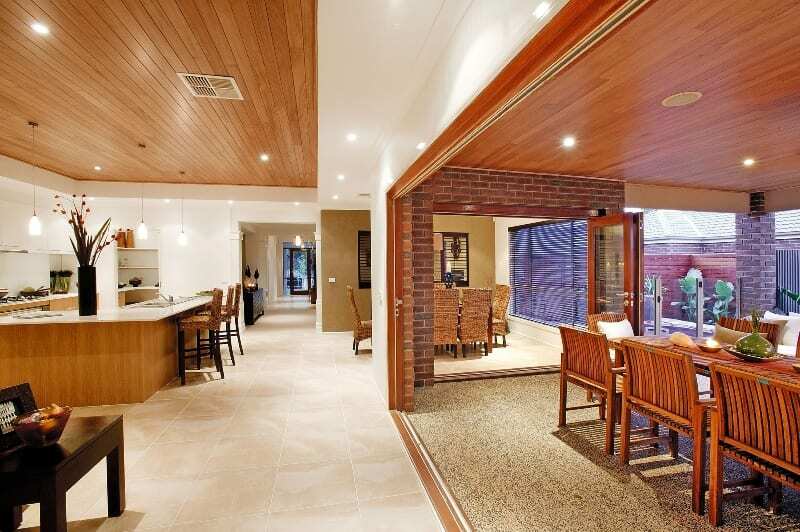 You don’t have to look far to find examples of our work as many local Perth builders use this lining for their show homes due to its stunning appearance.